The Battle of Iwo Jima was an epic military campaign between U.S. Marines and the Imperial Army of Japan in early 1945. Located 750 miles off the coast of Japan, the island of Iwo Jima had three airfields that could serve as a staging facility for a potential invasion of mainland Japan. American forces invaded the island on February 19, 1945, and the ensuing Battle of Iwo Jima lasted for five weeks. In some of the bloodiest fighting of World War II, it’s believed that all but 200 or so of the 21,000 Japanese forces on the island were killed, as were almost 7,000 Marines. 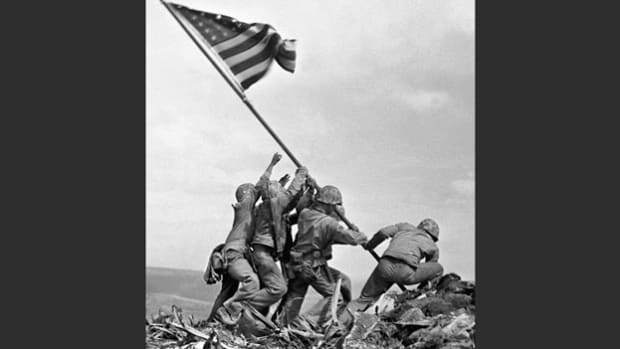 But once the fighting was over, the strategic value of Iwo Jima was called into question. 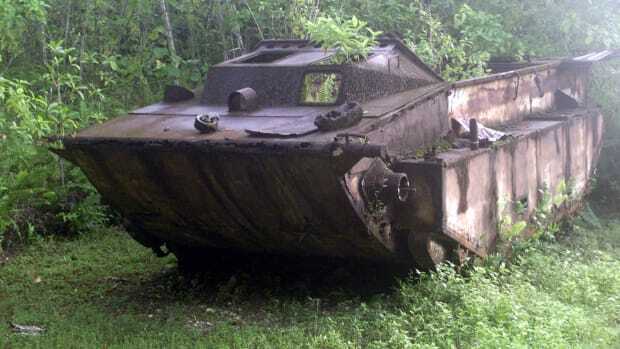 According to postwar analyses, the Imperial Japanese Navy had been so crippled by earlier World War II clashes in the Pacific that it was already unable to defend the empire’s island holdings, including the Marshall archipelago. In addition, Japan’s air force had lost many of its warplanes, and those it had were unable to protect an inner line of defenses set up by the empire’s military leaders. This line of defenses included islands like Iwo Jima. Given this information, American military leaders planned an attack on the island that they believed would last no more than a few days. However, the Japanese had secretly embarked on a new defensive tactic, taking advantage of Iwo Jima’s mountainous landscape and jungles to set up camouflaged artillery positions. Although Allied forces led by the Americans bombarded Iwo Jima with bombs dropped from the sky and heavy gunfire from ships positioned off the coast of the island, the strategy developed by Japanese General Tadamichi Kuribayashi meant that the forces controlling it suffered little damage and were thus ready to repel the initial attack by the U.S. Marines, under the command of Holland M. “Howlin’ Mad” Smith. On February 19, 1945, U.S. Marines made an amphibious landing on Iwo Jima, and were met immediately with unforeseen challenges. First and foremost, the beaches of the island were made up steep dunes of soft, gray volcanic ash, which made getting sturdy footing and passage for vehicles difficult. As the Marines struggled forward, the Japanese lied in wait. The Americans assumed the pre-attack bombardment had been effective, and had crippled the enemy’s defenses on the island. However, the lack of immediate response was simply part of Kuribayashi’s plan. 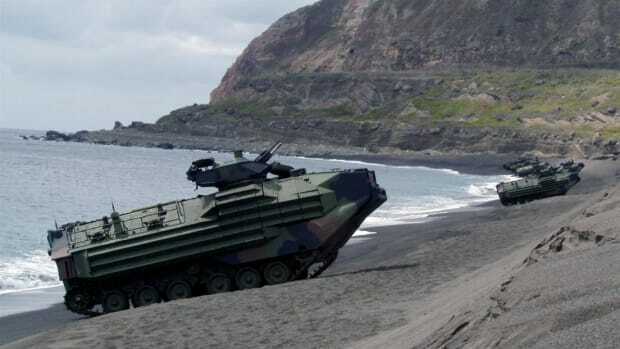 With the Americans struggling to get a foothold on the beaches of Iwo Jima – literally and figuratively – Kuribayashi’s artillery positions in the mountains above opened fire, stalling the advancing Marines and inflicting significant casualties. Despite a banzai charge by dozens of Japanese soldiers as dusk fell, however, the Marines were eventually able to move in past the beach and seize part of one Iwo Jima’s airfields – the stated mission of the invasion. Within days, some 70,000 U.S. Marines landed on Iwo Jima. 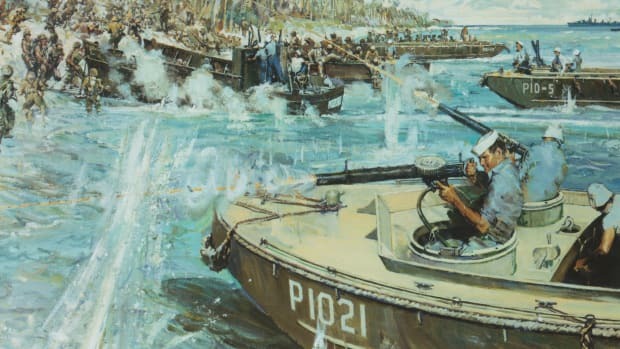 Although they significantly outnumbered their Japanese enemies on the island (by a more than three-to-one margin), many Americans were wounded or killed over the five weeks of fighting, with some estimates suggesting more than 25,000 casualties, including nearly 7,000 deaths. 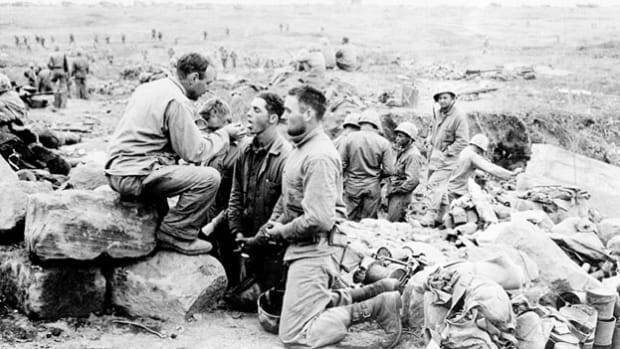 The Japanese, meanwhile, were also suffering major losses, and were running low on supplies – namely, weapons and food. Under Kuribayashi’s leadership, they mounted most of their defenses via attacks under the cover of darkness. While effective, the success of the Japanese forces seemed to merely forestall the inevitable. Just four days into the fighting, U.S. Marines captured Mount Suribachi, on Iwo Jima’s south side, famously raising an American flag at the summit. That image was captured by Associated Press photographer Joe Rosenthal, who won a Pulitzer Prize for the iconic photograph. However, the fighting was far from over. 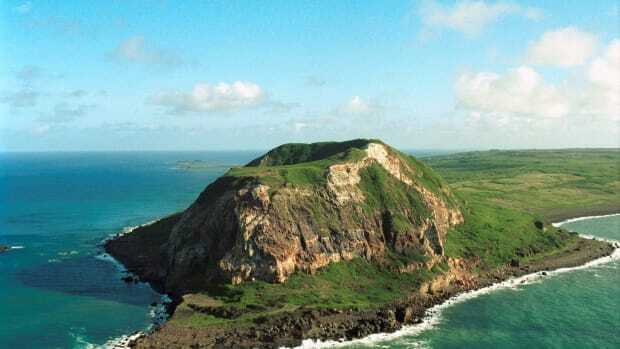 Battles raged on in the northern part of Iwo Jima for four weeks, with Kuribayashi essentially setting up a garrison in the mountains in that part of the island. On March 25, 1945, 300 of Kuribayashi’s men mounted a final banzai attack. The American forces sustained a number of casualties, but ultimately quelled the attack. Although the American military declared that Iwo Jima had been captured the next day, American forces spent weeks on end trudging through the island’s jungles, finding and killing or capturing Japanese “holdouts” who refused to surrender and opted to continue fighting. Dozens of Americans were killed during this process. 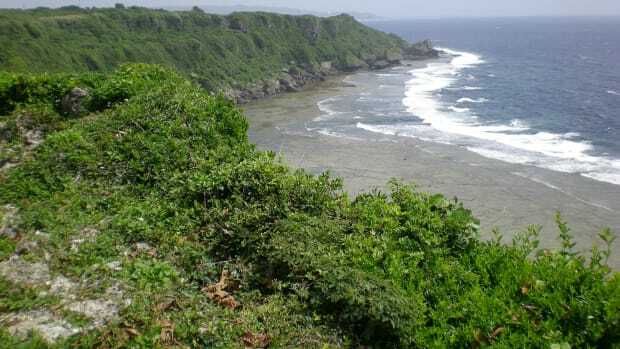 Two Japanese holdouts continued to hide in the island’s caves, scavenging food and supplies until they finally surrendered in 1949, almost four years after the end of World War II. In the end, neither the U.S. Army nor the U.S. Navy was able to use Iwo Jima as a World War II staging area. Navy Seabees, or construction battalions, did rebuild the airfields for Air Force pilots to use in case of emergency landings. 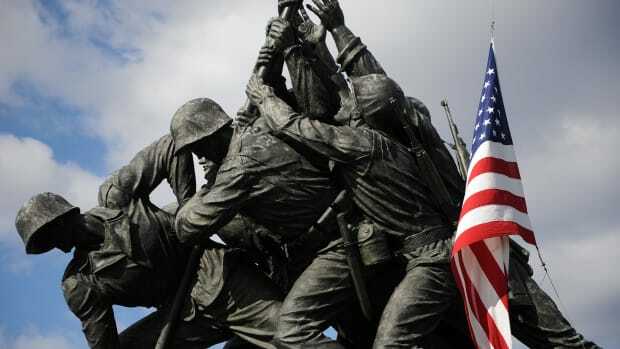 Because of the brutality of the fighting, and the fact that the battle occurred fairly close to the end of World War II, Iwo Jima – and those who lost their lives trying to capture the island – retain a great deal of significance even today, decades after the fighting stopped. 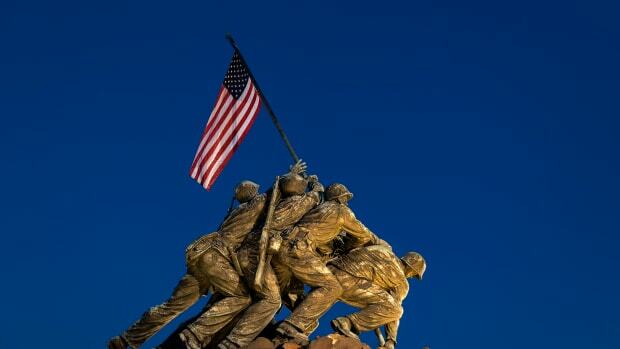 In 1954, the U.S. Marine Corps dedicated the Marine Corps War Memorial, also known as the Iwo Jima Memorial, near Arlington National Cemetery in Virginia to honor all Marines. The statue is based on Rosenthal’s now-famous photograph. More recently, actor/director Clint Eastwood in 2006 made two movies about the events on Iwo Jima called, respectively, Flags of Our Fathers and Letters from Iwo Jima. The first depicts the battle from the American perspective, while the latter shows it from the Japanese perspective. Brimelow, B. (2018). “73 years ago a war photographer snapped the most iconic image of World War II — here’s the story of the battle behind the photo.” BusinessInsider.com. Naval History and Heritage Command. “The Battle for Iwo Jima.” History.Navy.mil. National World War II Museum. “Fact Sheet: the Battle for Iwo Jima.” NationalWW2Museum.org. National World War II Museum. “Iwo Jima and Okinawa: Death at Japan’s Doorstep.” NationalWW2Museum.org. Gerow, A. (2006). “From Flags of Our Fathers to Letters From Iwo Jima: Clint Eastwood’s Balancing of Japanese and American Perspectives.” The Asia-Pacific Journal.